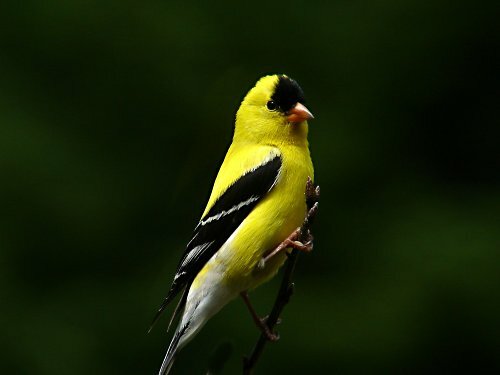 A yellow finch taken at dusk. Thanks for the great comment Alandra,I'm glad you enjoyed it. somehow missed this one, Alex, it's a lovely image. Thanks for the great comments and compliments,I happened to catch this guy late in the afternoon and he landed in the right place. You are getting better and better at this, Alex! This is a beautiful shot of a lovely bird! This is fantastic. The detail and DOF are awsome. You have the background blurred so well. The lighting is great, the colors are great. Oh, heck it's all just Darn great!!! Nice work Whittler. Beautiful photograph. The bright colors are so striking against the dark background. Beautiful and colorful portrait of the Finch.